Internationally renowned hair loss physician Dr. Alan J. Bauman recently launched the first ‘Certified Hair Coach’ program in the U.S. to train hair stylists and salons on how to help men and women who are concerned about hair loss. The program is unique because it provides consumers with actionable information by combining scientific hair tracking measurements with a series of non-invasive, easy-to-follow hair improvement plans and options. Early intervention is key to fighting hair loss and thinning, as once it has become apparent to the naked eye, 50 percent of the hair may already be gone. Delray Beach-based Bond Street Salon and S’Criage Spa & Salon in Parkland are the first in the nation to attain the Bauman Certified Hair Coach™ designation and offer this new service to their clients. 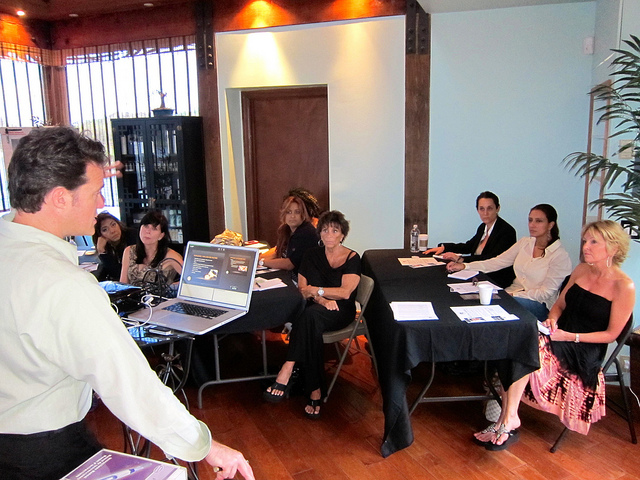 The next certification class is December 10th in Boca Raton. Disclaimer: This program is not intended to replace medical consultations, diagnosis, or treatments by a licensed physician. One of the first conversations hair loss sufferers have about their concerns isn’t with their doctor, significant other or friend - more often than not, it’s with their trusted barber or stylist. With that in mind, internationally renowned hair loss expert Dr. Alan J. Bauman recently launched the country’s first Bauman Certified Hair Coach™ program to teach hair stylists and salons how to help consumers by catching hair loss early, tracking it, and understanding what they can do to fight it. ABC television news station WPBF Channel 25 in West Palm Beach recently reported on Bauman’s new Hair Coach program and its innovative solutions for salon owners, stylists and consumers. Watch the TV news report: http://youtu.be/E7UIBTszuNg. 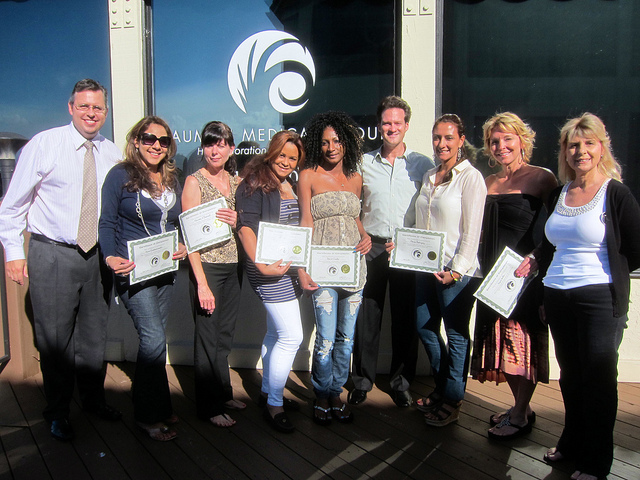 Dr. Bauman recently graduated the first class of certified Hair Coaches and another class is scheduled for December 10th at Bauman Medical Group in Boca Raton. 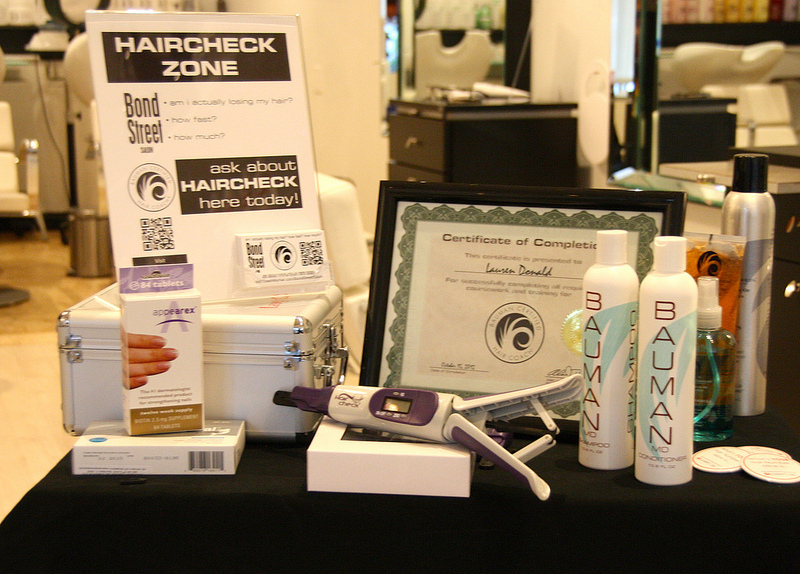 A key part of the Bauman Certified Hair Coach program is the ability to offer HairCheck Consultations to customers. HairCheck represents a non-invasive way to measure and track the amount of hair growing in a given area of the scalp (called the Hair Mass Index or "Hair Number"). 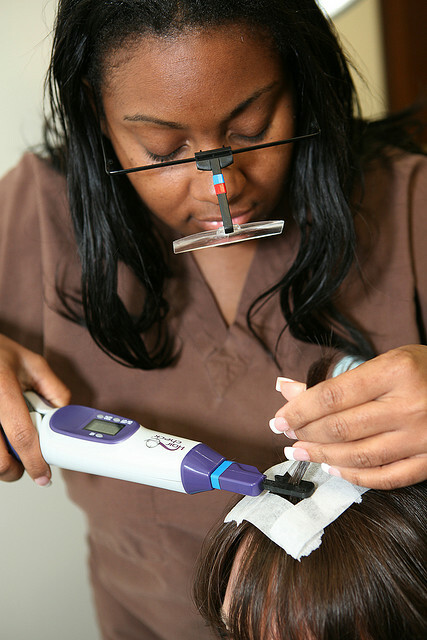 The HairCheck device is a highly sensitive hand-held ‘trichometer,’ which measures hair caliber and hair density together and expresses them as a single number. It can also measure the percentage of hair breakage, which is a common cause of hair loss. Tracking these numbers can help determine the extent and rate of the client's hair loss and/or breakage and inform them of any changes over time. For salon owners, cosmetologists and other professionals interested in applying for the certification class to become a Bauman Certified Hair Coach, visit http://www.JoinTeamBauman.com. For consumers interested in finding a Bauman Certified Hair Coach near them, visit http://www.CoachMyHair.com. This directory is still in the early stages, but over the next few months, and as more classes are scheduled, new salons will be added. Visitors can also recommend that a salon or spa near them become certified by entering their information on the website. 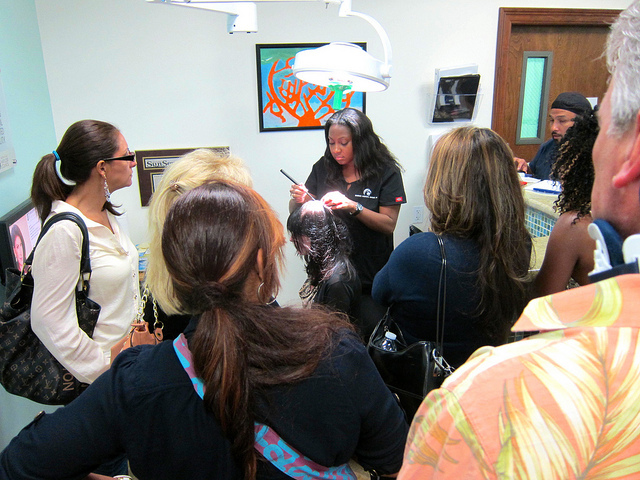 The Bauman Certified Hair Coach program is rolling out nationally in collaboration with the Global Beauty Institute. “This new certification represents an amazing opportunity for professionals in the hair and beauty industry by empowering them with information to help their existing clients with a much needed service,” explains JoAnn Fass, Global Beauty Institute Founder and National Educator. “With the advancement of technology in the beauty industry, and thanks to Dr. Bauman’s proven program, this new and exciting information about hair loss and hair breakage will undoubtedly enhance the ability to keep the world young and beautiful.” For more information about the Global Beauty Institute visit http://www.globalbeautyinstitute.com. A portion of this program’s profits supports “Operation Restore,” the International Society of Hair Restoration Surgery’s (ISHRS) Pro Bono Hair Restoration Program through a monetary contribution to their Annual Giving Fund. Operation Restore provides free hair transplant surgery and travel expenses to and from the participating surgeon for patients who have suffered hair loss from trauma or accidents. Patients suffering from hair loss due to disease or trauma and cannot afford hair restoration surgery are encouraged to apply to the ISHRS’s Operation Restore program. Applications are available through Bauman Medical Group or the ISHRS website, http://www.ishrs.org/ishrs-pro-bono.php, and are reviewed on a case-by-case basis by the Pro Bono Committee of the ISHRS. Disclaimer: This program is not intended to replace medical consultations, diagnosis, or treatments by a licensed physician. Alan J. Bauman, M.D., founder of Bauman Medical Group in Boca Raton, Florida, is a full-time board-certified and internationally renowned hair transplant surgeon whose pioneering work has been featured extensively in the national and international print and television media, such as Newsweek, The New York Times, Cosmo, Vogue, Allure, Men's Health, Today Show, The Early Show, Good Morning America, Extra, Access Hollywood and Dateline NBC. Dr. Bauman is recognized within the medical profession as top U.S. medical expert on the treatment of hair loss in men and women. A board-certified hair restoration surgeon, Dr. Bauman was the first to demonstrate ‘live’ the FUE method of hair transplantation at the 2003 International Society of Hair Restoration Surgery Orlando Live Surgery Workshop, started with NeoGraft FUE in 2008 and was the first to demonstrate the NeoGraft FUE device at the ISHRS Orlando Live Surgery Workshop in 2010. His practice is divided equally between male and female patients, and Dr. Bauman provides state-of-the-art diagnostic procedures and a multi-therapy approach to the medically treatable condition of hair loss. Dr. Bauman is a member and often a featured speaker at the American Academy of Anti-Aging Medicine and the International Society of Hair Restoration Surgery Annual Scientific Meetings. To learn more about Dr. Bauman, for the latest hair loss facts and treatments, or to schedule a consultation, visit http://www.BaumanMedical.com.